Topic: Indian culture will cover the salient aspects of Art Forms, Literature and Architecture from ancient to modern times. Context: China has confirmed restarting of the Kailash Mansarovar Yatra through the Nathu La pass. Kailash Mansarovar Yatra (KMY) is known for its religious importance, cultural significance and arduous nature. The annual pilgrimage holds religious importance for Hindus, Jains and Buddhists. The Yatra is organized by the government of India in close cooperation with the Government of the People’s Republic of China. State Governments of Uttarakhand, Sikkim and Delhi, and Indo-Tibetan Border Police (ITBP) and Kumaon Mandal Vikas Nigam Limited (KMVN) are other major Indian partners of the Ministry in organizing the Yatra. Mansarovar Lake is located at an altitude of 14,950 ft (4,558 m) is said to be the highest freshwater lake in the world. It is located in the Tibet Autonomous Region, China, 940 kilometres from Lhasa. To the west of it is Lake Rakshastal and to the north is Mount Kailash. 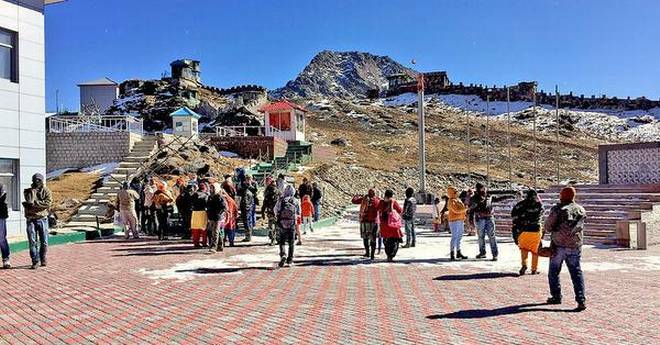 Nathu La is a mountain pass in the Himalayas. It connects the Indian state of Sikkim with China’s Tibet Autonomous Region. It is also one of the four officially agreed BPM (Border Personnel Meeting) points between the Indian Army and People’s Liberation Army of China for regular consultations and interactions between the two armies, which helps in defusing stand-offs. The four BPM are: Chushul in Ladakh, Nathu La in Sikkim, Bum La Pass in Tawang district of Arunachal Pradesh, and Lipulekh Pass in Uttarakhand. Topic: Indian Constitution- historical underpinnings, evolution, features, amendments, significant provisions and basic structure. Context: A committee formed by the Karnataka government has recommended a separate flag for the state, discounting any constitutional or legal hurdles for it. The proposed state flag will be a tricolour yellow, white and red, with the state’s emblem at the centre. The state government will now seek an amendment to enable provisions of including the Karnataka flag as one of the symbols in the Flag Code. 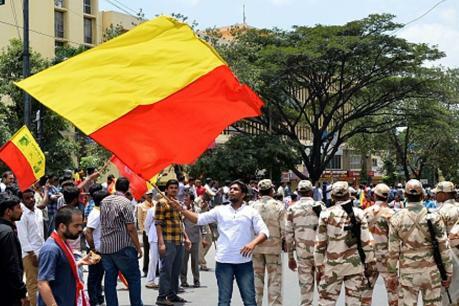 If the Centre gives its nod to the said amendment, Karnataka will be the second state in the country to have its own flag after Jammu and Kashmir, which is allowed the same under Article 370 of the Constitution. Are states permitted to have their own flags? In S.R. Bommai v/s Union of India (Supreme Court 1994) case, the Supreme Court has declared that federalism is a basic feature of the Constitution and States are supreme in their sphere. This being the Constitutional position, there is no prohibition in the Constitution for the State to have its own flag. However, the manner in which the State flag is hoisted should not dishonour the national flag. It has to be always below the national flag. The national flag code specifically authorises use of other flags subject to the regulation by the court. So, State flag is not unauthorised. All the 50 States in the U.S. have separate and distinct flags, apart from the national flag. In the U.K., the political units of England, Scotland, Wales, and Northern Ireland have their own flags without offending or affecting the integrity of the U.K. Karnataka is justified and constitutionally empowered to adopt its own flag to uphold the pride of the State without infringing the law. Democracy and federalism are essential features of the Constitution and are part of its basic structure. It is the democratic right of Karnataka to assert its identity through a separate name, emblem and flag. Topic: Statutory, regulatory and various quasi-judicial bodies. The Competition Commission of India has imposed a fine of Rs. 136 crore on search engine major Google for unfair business practices in the Indian market for online search. It was alleged that Google was indulging in abuse of dominant position in the market for online search through practices leading to search bias and search manipulation, among others. Competition Commission of India is a body responsible for enforcing The Competition Act, 2002 throughout India and to prevent activities that have an adverse effect on competition in India. It was established on 14 October 2003. It became fully functional in May 2009. Composition: CCI consists of a Chairperson and 6 Members appointed by the Central Government. Functions: The duty of the Commission is to eliminate practices having adverse effect on competition, promote and sustain competition, protect the interests of consumers and ensure freedom of trade in the markets of India. The Commission is also required to give opinion on competition issues on a reference received from a statutory authority established under any law and to undertake competition advocacy, create public awareness and impart training on competition issues. Topic: India and its neighbourhood- relations. The Maldives is engulfed in a deepening political crisis, as the introduction of a state of emergency decree across the holiday islands prompted heavily-armed troops to storm the country’s top court and arrest a former president. Ever since President Yameen came to power in 2013, he has been jailing almost all the political opposition. 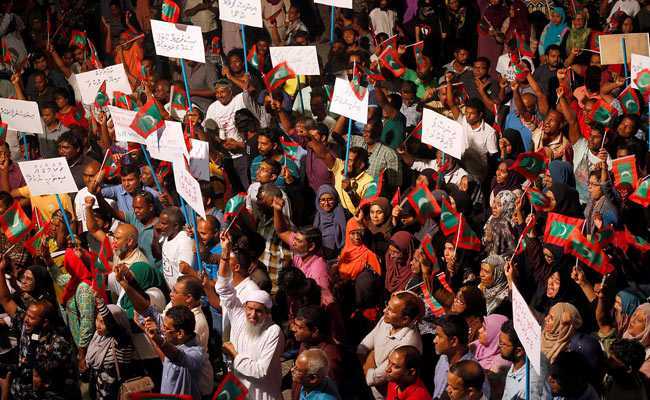 The island nation has been witnessing political unrest and street protests since former president Nasheed was convicted in 2015 on terror charges and sentenced to 13 years in jail. He was later allowed to go to Britain for medical treatment in January 2016. He has lived in exile since and is currently in Sri Lanka. The Maldivian Supreme Court had last week ordered the immediate release of former president Mohamed Nasheed and other opposition leaders. The Court had also ordered the government to restore the seats of 12 legislators sacked for defecting from Mr Yameen’s party, giving the opposition the majority in the assembly which would mean that they could potentially impeach the president. However, President Yameen refused to comply the top court’s orders, despite growing international pressure and concern, leading to declaration of Emergency in Maldives. How has the world reacted? Both former leaders of the Maldives, Nasheed and Gayoom, have called on India to force Yameen to release the recently jailed high court judges and political prisoners. While intervention from New Delhi would certainly be unusual, it is not unprecedented. India sent troops to the Maldives in 1988 to foil a coup. Alongside India, the U.S. and the U.K. have both urged Yameen to honor the rule of law and free the detainees. Meanwhile, the United Nations (UN) human rights chief has warned that Yameen’s state of emergency decree, which had been used to imprison perceived political opponents, was undermining the checks and balances necessary in any functioning democracy. Maldives is a South Asian island country, located in the Indian Ocean, situated in the Arabian Sea. It lies southwest of Sri Lanka and India. The chain of 26 atolls stretches from Ihavandhippolhu Atoll in the north to the Addu City in the south. Maldives is one of the world’s most geographically dispersed countries, as well as the smallest Asian country by both land area and population. It is the world’s lowest country, with even its highest natural point being the lowest in the world. The Maldives archipelago is located atop the Chagos-Maldives-Laccadive Ridge, a vast submarine mountain range in the Indian Ocean, which also forms a terrestrial ecoregion, together with the Chagos and the Lakshadweep. Topic: Inclusive growth and issues arising from it. 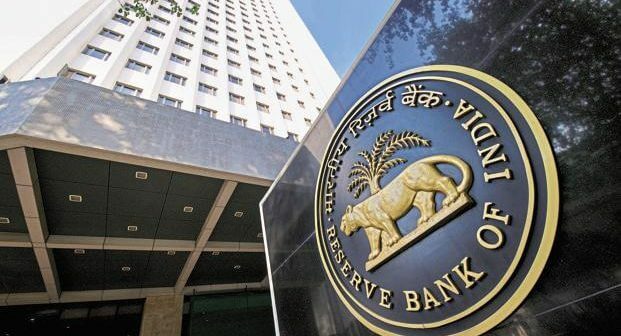 The Reserve Bank of India (RBI) has proposed to link the base rate for loans with the marginal cost of funds-based lending rate (MCLR) from 1 April to improve monetary policy transmission. This is likely to narrow the gap between the base rate and MCLR, and benefit borrowers who are still using the base rate. A large portion of bank loans remain linked to the base rate despite the introduction of the MCLR in April 2016. Weak monetary transmission during a rate cut cycle has been one of the central bank’s pet peeves. The MCLR is more sensitive to monetary policy transmission and is closely linked to the actual deposit rates. MCLR is calculated on the basis of incremental cost of funds, making it a more reliable benchmark rate as compared to the base rate, usually calculated by taking into account average cost of funds. The Marginal Cost of Funds based Lending Rate (MCLR) system was introduced by the Reserve Bank to provide loans on minimal rates as well as market rate fluctuation benefit to customers. This system has modified the existing base rate system of providing home loans. In this system, banks have to set various benchmark rates for specific time periods starting from an overnight to one month, quarterly, semi-annually and annually. How is it different from base rate regime? MCLR is based on the risk taking capacity of borrowers, where banks prepare marginal cost of funds lending rates. Unlike base rate regime, these rates are expected to get revised on monthly basis along with the repo rate including other borrowing rates. Banks decide the actual lending rate based on the floating rate by adding the component of spread to MCLR which becomes the final lending rate. Context: SpaceX Falcon Heavy, the world’s most powerful rocket, was recently launched from the Kennedy Space Centre in the United States’ Florida toward an orbit near Mars. Falcon Heavy is being considered mainly as a potential equipment carrier to deep space destinations. The mission is a test flight, pioneered by rocket firm SpaceX which is helmed by Tesla CEO Elon Musk. The rocket is loaded with Mr Musk’s own red Tesla roadster. At the wheel is a mannequin dressed in a spacesuit nicknamed Starman. It is the first time that a car is being sent to the space. If the Tesla roadster survives its five-hour journey through the Van Allen Belt – a region of high radiation where it will be pelted with charged particles – it will attempt a final burn toward Mars. 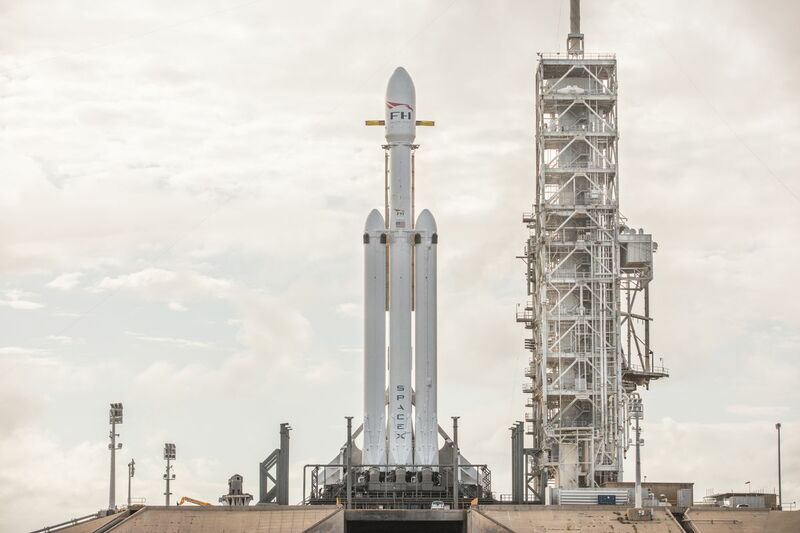 Falcon Heavy is the most powerful operational rocket in the world with the ability to lift into orbit nearly 64 metric tons – a mass greater than a 737 jetliner loaded with passengers, crew, luggage and fuel. Only the Saturn V moon rocket, last flown in 1973, delivered more payload to orbit. Defence Minister Nirmala Sitharaman has constituted a 13-member advisory committee to monitor and expedite capital acquisition projects for the modernisation of the armed forces. The committee is headed by Vinay Sheel Oberoi. The panel will suggest measures to improve the capital acquisition process. The committee will undertake an independent review and check the status of ongoing critical projects worth more than 500 crore rupees. In a bid to conserve the dwindling rhododendron species of Tawang, a rhododendron park is being established in Tawang, Arunachal Pradesh. Over 30 species of rhododendron will be planted and conserved in the park. It will also have a modern nursery, an information centre, resting sheds, and a parking facility, among other things. About Rhododendron: Found in varied habitats from subtropical forest to alpine shrubs, rhododendrons range from dwarf shrubs to large trees. The smallest are R. nivale and R. pumilum at just 10 to 50 cm while the tallest species, R. arboretum grows over 40 metres tall. Where they are found? The cold, moist slopes and deep valleys of the eastern Himalayas form a conducive habitat for the luxuriant growth of Rhododendron species. Arunachal Pradesh is home to the highest number with 119 taxa (74 species, 21 sub species and 24 varieties) of the Rhododendron. The small State of Sikkim is home to 42 taxa (25 species, 11 sub-species and six varieties) while 10 taxa are found in Manipur, four in Mizoram and 11 in Nagaland. TIMES Higher Education (THE) World University Ranking has released the rankings for educational institutes in Asia and only two Indian institutes have made their way to the top 50 Asian institutes. A total of 17 institutes from India have made their way to the top 200 Asian Universities. Though representation of India has increased in the list, several of the universities have fallen down the rankings in comparison to last year. Indian Institute of Science (IISc) – world rank 29. Indian Institute of Technology (IIT), Bombay – world rank 44. Indian Institute of Technology (IIT), Kharagpur – world rank 60. Indian Institute of Technology (IIT), Roorkee – world rank 65. Indian Institute of Technology (IIT), Kanpur – world rank 81. Indian Institute of Technology (IIT), Delhi – world rank 86.